Fire was humanity’s first discovery. It helpedus conquer thedarkness, and assert our dominance over nature,paving the way for humancivilisation. While fire has certainly proven itself to be a valuable asset, it is, and always has been truly dangerous. Fires havebeen responsible for countless deaths and unimaginable devastation from time immemorial, but perhaps the most tragic thing about them is that they are primarily caused by human negligence. While basic fire safety is essential for everyone to understand, these matters, wherever possible are best left to the professionals. Given the frequency of deadly fires in India, it becomes necessary for corporates to avail of private emergency services, particularly through ambulance outsourcing. No fire safety know-how would be complete without first addressing the three fundamental elements that are vital for a fire to occur; fuel, oxygen, and heat.It would therefore be more apt to describe a fire as an event, and the only way to stop a fire is to limit if not totally eliminate any one of the three aforementioned elements, which in most cases involves cutting off the fire’s supply of oxygen by smothering it. These are fires most people would be familiar with because they’re caused by the combustion of everyday household materials like wood, paper, and fabric. 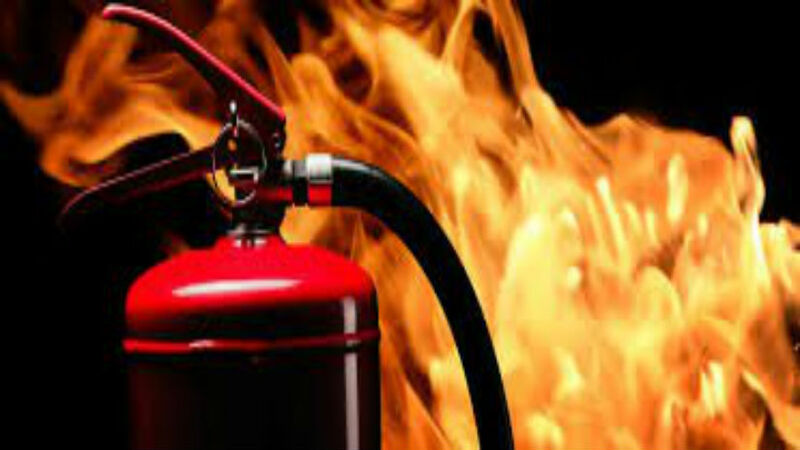 Method of Suppression:Water is a very effective extinguisher when it comes to Class A fires. These fires are caused by the combustion of gasoline. They CANNOT be put out with water because gasoline is lighter than H2O and floats to the surface; thereby making the flames impossible to smother. Water would only serve to spread the flames even faster, making the situation worse. Method of Suppression: CO2 i.e. Carbon Dioxide is ideal in fighting Class B fires; it is stored in pressurised canisters called fire extinguishers. These fires are caused by the combustion of LPG or Natural gas. Water is ineffective against such fires. Since gas spreads quickly, these kinds of fires tend to be particularly dangerous and the best course of action would be to evacuate the vicinity and leave the matter the emergency services. Method of Suppression: Dry chemicals and Halon are ideal in fighting Class C fires; they too must be stored in pressurised canisters. In case of industrial fires involving volatile reactive substances like sodium, potassium, lithium, reach out to a fire brigade immediately. DO NOT attempt to tackle such fires on your own. Method of Suppression: Call a fire brigade to fog the place. These are fires involving possibly energised electric equipment. Because of the risk of electrocution, these fires are especially dangerous. DO NOT attempt to use water or foam because these are highly conductive and may result in electrocution. Method of Suppression: Dry chemicals and Carbon Dioxide are ideal in fighting Class E fires. If you happen to be in caught in the immediate vicinity of a fire, the best thing you can do is stay calm. Depending on the size of the fire, its type, and the equipment available, you should use your judgment on whether to engage it; when in doubt, evacuate. Always stay low to the ground because smokerises upwards, being lighter than air, and suffocation presents a more immediate threat than heat.Never use an elevator during a fire. While a fire breaking out is always a dangerous incident, it need not become disastrous or cause a loss of life. If fire safety norms are followed diligently and basic training is imparted to all employees, they can usually be evacuated safely before the fire becomes uncontrollable. Most of the deadly fires in India this year could have been avoided if safety norms had been followed and proper knowledge had been imparted about how to deal with fires. Thus, not only is addressing these issues at an institutional level, but so is equipping yourself with basic fire-fighting skills,that might someday help save your life.